The empty cosmetic tubes are loaded automatically. Subsequently, they are positioned, filled and sealed. The date or batch number is stamped on the seal. The tube filling and sealing machine removes end-products automatically. 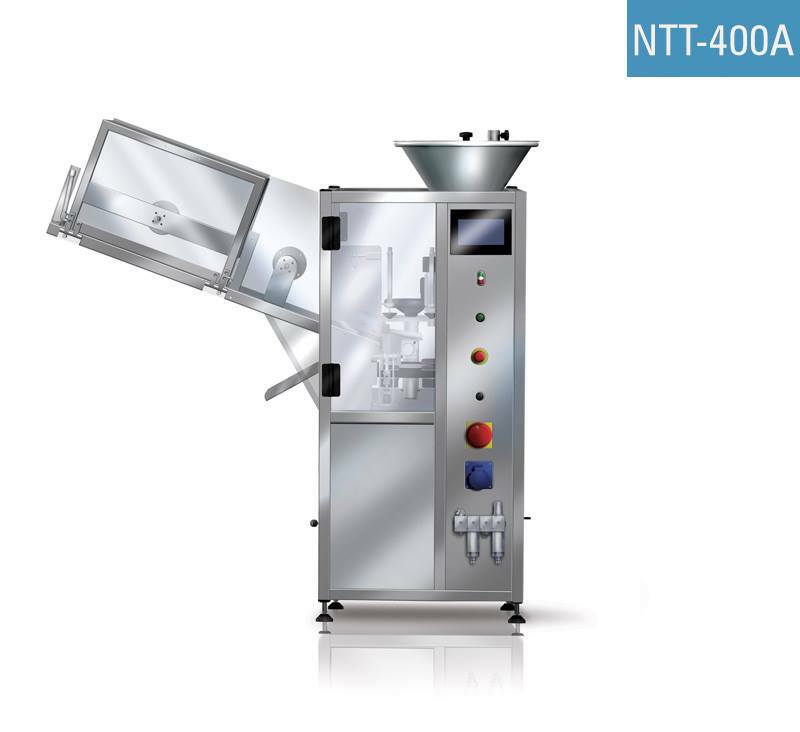 The automatic tube filler NTT-400A is used for packing of cosmetics, pharmaceuticals, chemicals and food products into tubes. The tube filling device is designed to handle large and medium size batches / production lots / jobs. NEWECO is a manufacturer of automatic tube filling and sealing machines for thermoplastic (polyethylene (PE), laminated and other plastic) and aluminum tubes. Contact us to receive a price quotation. We do not trade with used machines / equipment, however we are convinced that you will find the pricing of our new machines very attractive.